Outside, arguably the world’s greatest bustling metropolis hummed along to the rhythm of the endless possibilities of a warm summer’s evening. Inside, spread across a sofa, I stared at the 6” x 2” diameter of my smartphone for one hour at a live stream of a grown man sanding, cutting and nailing pieces of wood together. 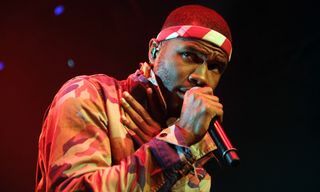 The video’s protagonist was Frank Ocean, the beloved R&B/hip-hop/pop singer whose first studio album, the critically acclaimed, seemingly universally adored Channel ORANGE has, since its 2012 release, turned his fans and the music industry into devoted followers of the New Orleans crooner. In the lead up to the release of Blonde, millions spent hours watching a live stream in black and white of a plain carpenter’s workstation and, at his leisure — the last four years has taught us that Frank has anything if not an abundance of leisure — Ocean proceeded to craft and build, occasionally soundtracked by backing tones as dull as the white backdrop the performance is set against. One thing pointed to artistic progress and some semblance of method amid the madness I invited into my home: an Apple Music watermark hovering above the pantomime. As Frank finished a well-constructed block — add carpentry below narrative storytelling to his long list of talents — it dawned on me that, shamefully, I had allowed a similar scene to play out in my living room five months earlier. In that instance, my phone carried live shots of Madison Square Garden. Frank Ocean was present, but he wasn’t the host. 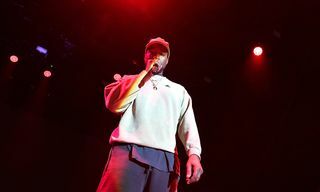 Kanye West had filled the famed venue with fans, journalists and Kardashians to play samples of his new album, The Life of Pablo. 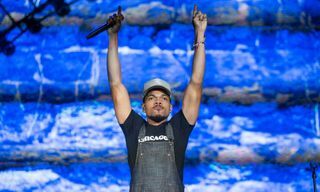 West had taken the traditional pre-release listening party to new levels and, in the best traditions of great house parties, plugged an AUX cord into his laptop and focus-tested his new material to 20,000 fans in the stadium, and millions more watching at home. To understand the way the consumption of music has morphed in recent years is to understand what allowed Frank Ocean and Kanye West to create diverging yet equally successful marketing strategies based on their individual motivations. Above all, the seemingly never-ending release of Oceans sophomore record Blonde demonstrates his love for control. At the end of 2012, Ocean was beating a steady path toward cultural icon status for what he was offering both in and out of the studio. Channel ORANGE was adored, treasured and held up as an example that modern musicians still had something to say that was worth hearing. He, and his clique, Odd Future, were seen as a statement of intent, a gift to a stale industry. Even prior to the album’s release, Ocean demonstrated an impressive mastery of narrative presentation. The release of your first studio album is a precarious time, and rocking the boat is ill-advised, let alone breaking a major industry taboo. Mere weeks before release, in an open letter on Tumblr, Ocean became the first major artist within the hip-hop and RnB world to come out as having been in love with a man. Control. His first album would be consumed in the fullness it was conceived, and for that, he was lauded as an inspirational lyricist and role model. If most of us found ourselves at the top of the world, we would pitch a tent and cling on for dear life, but not Frank Ocean. He decided to jump into the abyss. If Kanye West ever encountered the abyss, he’d host a concert in it because he is driven by a need for acceptance, and with that, a desire to consistently be heard and seen. 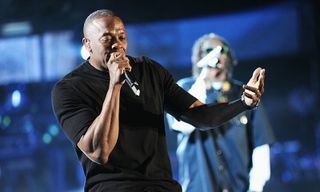 By June 2013, West had six-studio albums to his name. His (then) latest, Yeezus, continued a six strong series of debut number ones.  The expected seventh, which West announced was titled So Help Me God, would come in 2014. It didn’t, but Kanye hardly drifted quietly into the night. He waded past protests and petitions to headline Glastonbury; married one of the few people in the world arguably more famous than himself; collaborated with a Beatle and started a multi-million dollar fashion line with adidas. By March 2015, So Help Me God still didn’t have a release date, but had a new name: SWISH. After this, except for two Tumblr posts in 2014 — one to announce he would skip Coachella music festival to finish the project, and the other to reveal the album’s title, Boys Don’t Cry — Ocean has maintained an almost two-year album-related silence, allowing others to speak and speculate on his behalf. Countless esteemed and reputable publications have been reduced to cheap gossip pushers all in the name of #FrankWatch. During the long lead up to the eventual release of Blonde, the New York Times was reporting, with authority, that Ocean would release his album on the following Friday. He didn’t. It’s hard to imagine that Ocean and his team have not actively encouraged these flimsy snippets of information, and for good reason. Frank’s self-imposed retreat cleverly created a vacuum that played to the 24-hour insatiable clamor for information that the social media age has created. Spottings of Ocean are like gold dust, especially if you can prove he was been anywhere near a microphone or recording equipment. In his absence, he remained as present as ever. No such measures were ever needed with Kanye, who proudly chose presence. To him, social media offered a fresh and very different opportunity: mass collaboration. An opposite strategy that successfully played on the same access and information overload we as fans are now used to. SWISH’s vague release date — the end of 2015 — was a sign of the times. By January 2016, however, all the Chicagoan had to offer were two more changes to the album name — Waves; then The Life of Pablo via a public fight with Wiz Khalifa who objected to the name, and a Twitter poll hosted by his wife Kim Kardashian to gauge public opinion. Kanye resurrected his G.O.O.D. Friday series, a weekly release of a new song that was nothing more than an opportunity to put new material slated for TLOP to the test. It was becoming clear that we, as fans, were being invited into the process. 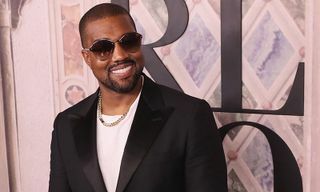 While fans were losing their minds over Frank Ocean’s rabbit-in-a-hat release strategy, Kanye was equally benefiting from inviting the world into the studio with him and presenting the album as an evolving, never-ending process. 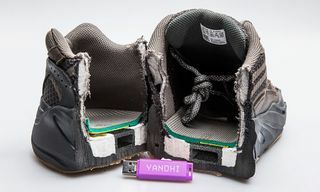 As Frank held on to control, occasionally encouraging slithers of information to remind his lost-loves he never stopped caring, making them go weak at the knees anytime he dared to show his face in public, Kanye was, to some degree, ceding control, and yet they both managed to turn their album releases into cultural events. Here, in one sense, the artists converge when you consider the possibility that both strategies leave room for accusations of self-indulgence. At what point did Frank Ocean’s reticence turn into arrogance? We reveled in Kanye’s G.O.O.D. Friday series and never questioned whether we were watching the offerings of a person consumed by the instant appraisals the internet gladly broadcasts within moments of it finding a home on SoundCloud. Where Kanye’s second album, Late Registration, screamed at you to jump aboard a journey to touch the sky, at times, TLOP asked you to drive because the artist wasn’t completely sure where he was going. There must be an effective third way, right? It’s easy to assume that Kanye West and Frank Ocean have defined the consumption habits of modern music fans and shown that the album release works best as a slow burn, because whether you seek the limelight or shy away, the internet does not permit secrecy and rewards no-news-news. However, while the two have spent the past few years perfecting their strategies, a black singer from the Deep South has fought to prove a third way still exists. Two fully-formed albums have now appeared in the world from Beyonce without as much as a single social-media account being logged into. The self-titled first, released in 2013, arrived overnight, with every song featuring an accompanying music video. The second, Lemonade, not only contained deep meditations and imagery on racial equality, but an Emmy-nominated feature length film that publicly shamed and questioned her husband, Jay Z — who featured in it — about infidelity. To keep the title, track-list and theme of an album secret is one thing, but to create accompanying set pieces on the scale and quality Beyonce has, without a single word leaking out, suggests this is a party-trick for one. Many of the world’s biggest stars will adopt a hybrid of Kanye and Frank Ocean’s strategies, because the tempting hype of a long, drawn-out promotional stage only requires a deep fan base, and fandom makes willing fools of us all. In case you missed it, Universal has announced that it is banning “exclusives” after Frank Ocean’s album release. Whatever Happened to the Traditional Album Skit?